Inês joined EIF in May 2017. Since October 2018, her main focus has been on EIF’s portfolio of work on interparental relationships. Prior to joining EIF, Inês completed her PhD at King’s College London on foetal and infant brain development in individuals genetically predisposed to autism spectrum disorder. 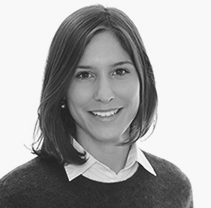 During her time at King’s (2013–17), Inês was also involved in research on parent–child interactions and the effect of maternal prenatal depression on infant brain development. She also worked as a postgraduate teaching assistant on the BSc Psychology and MSc Clinical Neurodevelopmental Sciences programmes.